Sephora's having a sale again. It's not as good as its 20% off sale, but whatevs. For the billions of us that would like to buy something, now is the time. It's gonna be as good as it gets until fall! I did some spring cleaning (Thanks to Manon) and purged some of my makeup. I honestly couldn't believe that I've kept some products since 2010! WOW! I've been able to save a lot of my powder-based makeup by cleaning them with some alcohol spray and wiping off the icky germs. 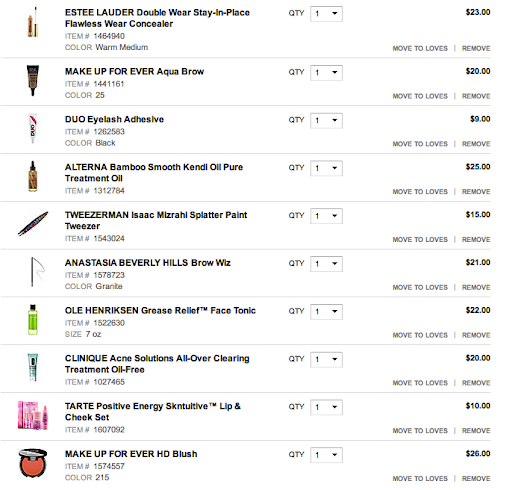 My liquid products on the other hand.. Yeah. Those need to be replaced. I'm not sure if I'm going to buy anything else.. but if I do, I'll update with a haul. Are you buying anything during this Sephora sale?